Pre-order Tunng's forthcoming "Magpie Bites...and Other Cuts" compilation from their official store or Bandcamp to be entered into a lottery to win a copy of their 'Maypole Song (The)' lathe-cut 7" [VAN73], originally released by Static Caravan in 2004. Sweet retro futuristic hits this is a comeback of joy from AOTMP. 300 copies on Vinyl with half already taken. £15 gets it to your door in the UK £18 in Europe and £20 anywhere else. Simon H Fox 'Realms' [VAN334] - CD in numbered hand printed sleeve and poster, edition of 100 copies only. Now available. £7 uk £8 europe £11 ROW inc postage. Static Caravan Recordings are rather chuffed to be able to release a two-track single collaboration between Antony Ryan, of Isan, working here under the name Mugwood, and John Brenton of Landshipping. Released on a 5" lathe cut single, download & streaming. 2 tracks on the 5” lathe. 4 tracks (original extended mixes and lathe tracks) on CD. £14 gets it anywhere in Europe post paid. Van 328 : The Matters 8” is now long gone. Van 321 : David Jaycock is sold out at source. Van 330 : Open Field is still available but running low. Do nab one of these classy audio dreams. Two track lathe and full album CD. Van 332 : Telephone Messages on a 2” lathe hand packaged with CD by Ben Javens in an edition of 40 copies will be available next week. It is only playable on a 3” record player. Hence it comes with a CD. Open Field 'W.B. In Reverse / Negative Panic' [VAN330] - Folks, the latest Van by Open Field is now available to order. Woozy psychedelia or straight forward hook riddled audio from some ex Kingsbury Manx. “a marvelous collection that pairs pastoral psychedelia (sometimes recalling the folkier side of pre-Dark Side Pink Floyd) with pleasingly skewed Americana” says Aquarium Drunkard. Matters 'ANDON' [VAN328] - Folks, Van 328 is the first physical appearance of Matters. A 2-track 8” lathe cut by Phil Macy in an edition of 50 with a 4 track CD all in a hand cut and screen printed sleeve designed by the band (25 Red and 25 Green). It’s one of those blink and you will miss it releases. Last copies of this doozy now available. Full album CD included with an exclusive lathe cut two tracker by Oort. (add £1 for Europe and £5 for ROW). There is a variant sleeve, misprint, if anyone wants a copy please ask when ordering. tele:funken 'Rocket Summer' CD [VAN326] - limited CD (initial edition of 100 copies with inserts). QST is one of many projects captained by Frans De Ward. This time he navigates into the calm waters of 90s ambient with an occasional ripple of house. Homestead is a very personal exploration into the catharsis of family, sobriety and reconnection with self. Mixing instruments with field recordings of his own children and the Isle of Wight, the album captures a journey back to the homestead through a connected series of musical vignettes. Jon has any number of collaborations under his belt a Leland Sklar of the double bass he has played everywhere and with all types. At the moment he is in a marriage of sorts with James Yorkston and Suhail Yusuf Khan gracing the global festival stages as ‘Yorkston / Thorne / Khan’. The music has the sadness of a Mike Leigh or Ken Loach film soundtrack. Both sides of this wax have received play all over the radio schedule. One vinyl single and the combined efforts of Ean / Eliza Carthy / Disraeli / Memory Band. we are finally moving forward with a bunch of new vans. First up for order is the 'edit' of Tubular Brass, yeah a brass band version of the Tubular Bells theme. One off pressing, of 300 copies, digital download card included. Sleeve design by Ben Javens. DOWNLOAD card issue with Van 305 :The Memory Band - A Fair Field vinyl LP. If you purchased the album and found the download card does not work then you are not bonkers. The url is wrong. Apologies to those that have been unable to download. Grantby ‘EP2’ [VAN306] - the new 12” from Grantby - it's only taken 10 years. Available now. One-off pressing of 400 copies. Grantby is Album Of The Month for December at Glasgow's esteemed Monorail Music, and comes with an exclusive mix CD by Grantby. Just a nudge that our collegues BLACKASH are down to the last few of the vinyl package. Our digital version will be live from the 9th December. Due first week of December is the new one from The Memory Band. ‘A Fair Field ‘ is a stunning continuation of their journey to make music with a big blood filled heart. SOLD OUT AT source. Please do not order directly from the labels. Static collaborators Fruits De Mer announce 'The Fifteenth Dream Of Dr. Sardonicus - A Festival Of Psychedelia' from 4th - 6th August 2016 in Cardigan, Wales. Chuffed to bits to be releasing this record. The Black Ark is a favourite at the Caravan and Justin and Chris have done such good work here. To be helped in the release by my mentor Steve at Dirter as well. Guaranteed quality. One off pressing, gloss front, matt back sleeve in a Ben Javens design. Digital download included. The Hayman Kupa Band ‘Someone to Care For’ [VAN303] brings Darren Hayman back to the Caravan. An alternative hit laced with temptation and a spoonful of infidelity. 300 copy seven inch single that due to delivery people kicking it from pillar to post may now be an edition of 250 or less. Next up will be a Picture Disc of Train Noises. Limited to 100 copies - Lathe Cut. 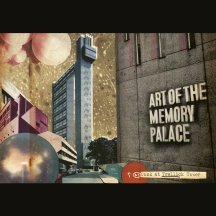 A year on from the release of their acclaimed debut album 'This Life is But a Passing Dream', Kosmiche duo Art of the Memory Palace return with a nine minute orchestral drone opus 'Your soul is not a Bird'. Celebrated Scottish author James Robertson adds his voice on top. This is a 5” lathe cut ltd to 80 copies that is intended for sale at a few live shows. Please do not order as we have no copies left. 8” lathe cut, hand packaged, inserts and CD copy. Edition of 78. We will only have a few copies as these. £15 UK, £16 Europe, £20 ROW all prices post paid. Vinyl only edition of 300 copies. Victories At Sea 'Everything Forever' [VAN291] is OUT NOW. This is heading for a sold out situation. The band have the last copies for sale at shows. This cannot be repressed with all the inserts and signed polaroid etc. so I urge you to nab a copy now if you even slightly fancy one. Free School 'Dancing On The Dark' [VAN287] album OUT NOW. CD and digital gubbins only. **Update** - Initial copies of this CD have all gone. Shops will be re-stocked in a few weeks. David O'Dowda 'The World Retreats' [VAN297] is released November 6th 2015, ltd hand-fashioned CD edition of 100 only and all Digital Formats. *Update* - if you have ordered this then please hang on to your hats as we are having printer problems and are still awaiting the card/ paper parts. The Memory Band have been commissioned by The British Library and Supersonic Festival to create a new work, Children of the Stones. This was performed at Supersonic (13th June). A ltd edition lathe cut seven inch record [VAN288] is now on sale *sold out* containing audio from the commission. Track listing: Common Ground / Hasp. White foil embossed on recycled black board, very limited pressing, with download code. This beauty has taken some time and effort to get together folks. £6 plus post and package at £1 UK, £2 Europe and £4 ROW Folks, a quick nod to nab this as soon as you can, it is sold out here now. Copies will be in the shops on Monday March 9th. The Woodbine & Ivy Band 'Sleep On Sleeping On' CD [VAN281] - edition of 500. Release date: March 9th 2015. Free School 'Hudson's Whistle' 7" [VAN284] is getting a lot of air play and a lot of requests. It is due in stock next week. Splatter vinyl 7” in an edition of 300 and the b side is remodelled by MAPS. Folks, our esteemed static brother PhilMRiot is releasing 45 x 45s lathe cuts in the next year. As part of this madness he/we are cutting a very small amounts of a two-track excerpt from the long gone tape VAN197. This will be VAN197a and available directly from the manufacturer himself. RED FLAG! New live video by Ewan Jones Morris filmed on the set of Bright Phoenix, a play written by Jeff Young at the Everyman theatre in Liverpool. Starring in order of appearance: LJM, Vidar Norheim and Rhodri Meilir. Many thanks for your continued support this last year. Van 275 : Pete Philipson ‘Limefield Sessions‘ has sold out. Van 278 : Julie Byrne ‘melting grid’ has sold out. The start of the year will bring new singles from Stick In The Wheel, Free School and Victories at Sea. There will be a CD from The Woodbine and Ivy Band and a cassette from Art of the Memory Palace. We'll also be releasing a couple of very ltd Lathe Cuts. Maybe 30-50 copies only. I hope to have artists like Us and Them; Diagrams next but I really do want to make sure that the few of you that care get a chance to get your hands on these. Price would be around £20. Please mail me if you have any thoughts or want to reserve these future releases. Damn stuff and Vivian Stanshall. The Great Electric was formed in the winter of 2012 by Malcolm Doherty (Guitars, FX), Rob Hyde (Drums), Darren Hayman (Synth), Duncan Hemphill (Tones, Drones and FX) and Pete Gofton (Bass/Production). Alumni of bands as diverse as Hefner, Kenickie, GoKart Mozart & Mum and Dad, the band was united by a love of the classic German electronic and progressive acts of the 1970s coupled with the pop music sensibilities, hooks and production of 90s bands such as Stereolab, Quickspace and Electric Sound of Joy. Just found 5 copies of Yellow Moon Band 12” VAN 181. Yellow artwork / translucent green vinyl. 1 copy of Besnard Lakes 10” : would anyone come to visit me - Van 90, 10” with band hand screened insert. The compilations include tracks previously released on Static Caravan vinyl. We'd recommend a trawl around the Cathode site whilst you're there. These are £5. Please note these are v ltd. These were given away at Moseley Folk Festival. I have kept a stash back to give away to anyone that orders until they are gone. Victories At Sea 'In Memory Of' CD ep [VAN260] was released on 3rd July 2013. This is the band's debut release. 'Stay Positive', the ep's opening track, was played by Steve Lamacq on BBC 6Music on Wednesday 5th June. Please visit. We will try to keep latest, tour only, whatever fancies and cupcakes available here along with the stacks of buzzin' second hand vinyl. This is a nice thing - contains wav files of a six-track ep. £10 UK delivered, elsewhere post is at cost. The R G Morrison are yet another band from Totnes Devon, although you wouldn't know it. They've played across the World at the biggest, smallest and weirdest festivals, on all manner of stages, support slots and carparks… although when in Totnes the four piece (of sorts) are the guy from the record shop, his wife, a theatre nurse and that New Yorker who drums for Jeffery Lewis. Anonymity is a good fit. Oo other way to say it but ‘Flute Wrangler’ Laura J Martin is back with a follow up to the lauded ‘The Hangman Tree’. No stranger to touring and collaborating, having previous stints with Euros Childs and Norman Blake’s ‘Jonny’, radio sessions a plenty and a stint on the festival circuit. Laura set off Reykjavik to record with Mike Lindsay (Tunng and Cheek Mountain Thief). The proposed solo record put on the back burner whilst they recorded a ep of collaborations. A travelogue of her visit, mashing field recordings with Lindsay’s wonky pop and then brought back to the UK for a citrus fresh session with Benge at the Mastering filter station. Just pop enough to fit the pages of experimental music, but also with enough of a experiment inside the idiom of pop so you know this will never be mainstream. Tokolosh Van 248 : - two track 7” is now ready to post out. Van 246 : Driver Drive Faster 'To Return' 7"
Beautiful gold foil blocked sleeve pressed on translucent yellow wax ltd to 300 copies. This has already been battered on Radio 6 and won the rebel playlist. Already down to about 30 copies. Jess Roberts 'Voodoo Woman' now available. White Vinyl, Hammer Press paper sleeve, 300 copies.